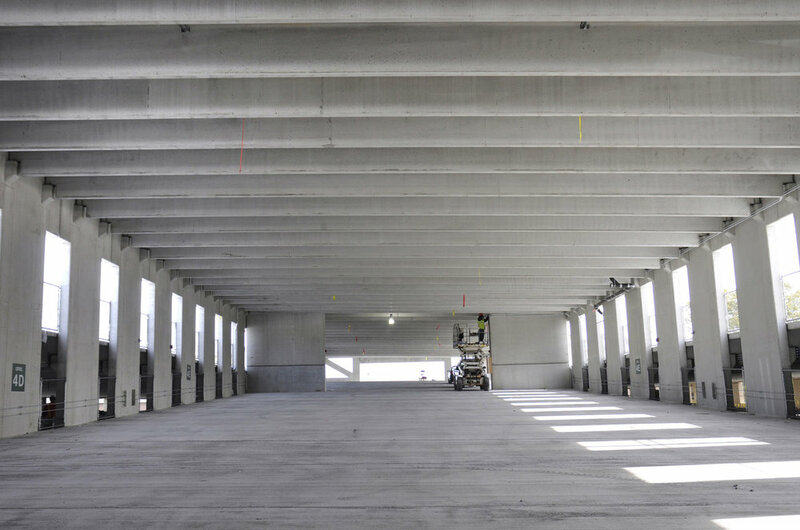 This $15,000,000.00 State of Connecticut Department of Public Works project included the construction of a 355,172 sf, five-story Parking Garage, located on the campus of Southern Connecticut State University. This project provides an additional 1,257 parking spaces on campus. Prior to the commencement of construction, the Rizzo Corporation was required to build a temporary parking lot to accommodate the existing parking load lost by the construction envelope taken for the construction of the new parking garage. Along with our General Contracting building responsibilities, Rizzo Corporation provided logistics planning, project scheduling, construction feasibility studies, safety planning, quality assurance, and operational management of the project on-site in an effort to assure that the project was completed on time and in accordance with the contract documents.